Hi guys, this is my final blog post for breakfast week. I said at the beginning in my Vanilla Yogurt Pancakes post that I would post a two week study of my breakfast habits, and here they are. I will link to any necessary recipes in case you are curious. Here it is! Day 1 (Monday): 2 banana pancakes with maple syrup and a glass of water. Get the recipe. Day 2 (Tuesday): A zucchini/courgette muffin, a bowl of cornflakes and a glass of orange juice. Unfortunately I didn’t have a recipe for the courgette muffin, but you can replicate this breakfast with your own courgette muffin recipe. Day 3 (Wednesday): A bowl of hot Cinnamon Raisin porridge and milk on the side. Click here for the recipe. Day 4 (Thursday): 3 pancakes with icing sugar and maple syrup. A glass of orange juice. Recipe here. Day 5 (Friday): 3 pancakes (made with the same batter as the previous day) and maple syrup. Orange juice. Day 6 (Saturday): A jar of peach and summer berry overnight oats. Get the recipe. Day 7 (Sunday): 2 slices of french toast with maple syrup. A glass of milk. Link here. Day 8 (Monday): A bowl of Special K, some cherry yogurt, and water on the side. No recipe needed! Day 9 (Tuesday): A plain bagel with peanut butter and raspberry jam. Also a glass of milk. Day 10 (Wednesday): A bowl of plain porridge and a glass of milk. Click here for the recipe. 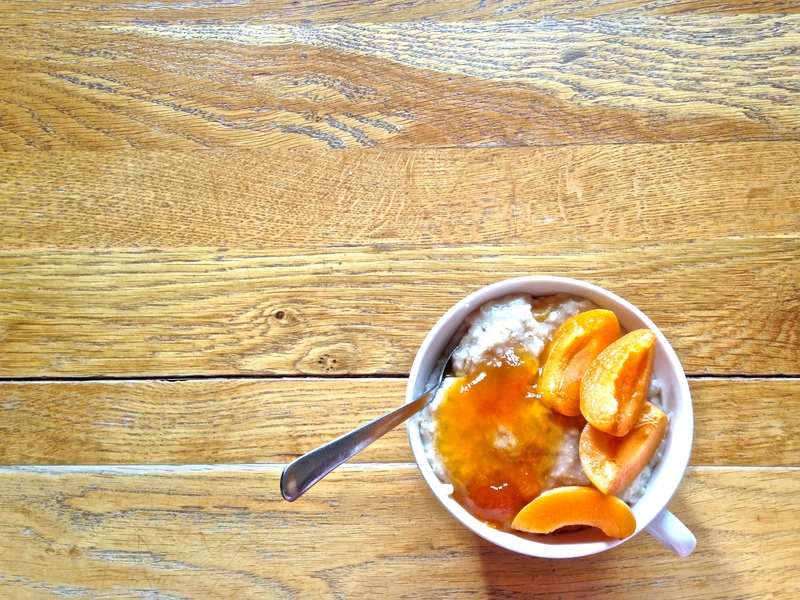 Day 11 (Thursday): A bowl of Triple Apricot Porridge with some water. Day 12 (Friday): A bowl of Curiously Cinnamon cereal and a glass of milk. Day 12 (Friday): A bowl of Curiously Cinnamon cereal, some cherry yogurt and water. Day 13 (Saturday): A bowl of Curiously Cinnamon cereal and a glass of milk. Day 14 (Sunday): 3 of my Plain Pancakes with maple syrup and strawberries. A glass of orange juice. Get the recipe. Thanks so much for reading, and happy happy Wholechefteen Breakfast Week. You know what to do, details on the about page. Okay, so I know I mentioned one of these before, but I just wanted to share my photo of this, as well as highlight the fact that it is pure genius. Pure genius. And this other recipe, which is just all of my favourite things. Delicious goodness… All I have to say. Link here. Just the apricot would have been perfect, but the peanut butter sauce just 100 percent better. Get the recipe. Thanks for reading my final post for Breakfast week! ❤ you all! Like, comment and share, details on the about page. Recently, with all of the porridge and things that I’ve been making, I’ve been craving some jam. In a yogurt parfait. Unfortunately, jams and jellies are loaded with refined sugar, as well as the natural sugars in the fruit. I asked my mum how she makes compote, and she said that all you needed to do was to half fill a pan with fruit and then add three tablespoons of orange juice. I have tried her compote and I can honestly say that it is the most delicious fresh tasting preserve I’ve ever had. You can cater the flavour to your tastes by using different fruits; for example, if you want a very sweet compote use things like strawberries and peaches, and if you like it tart, use things like blackberries, redcurrant and rhubarb. The compote can be stirred in to yogurt, used in a parfait, or be used as a topping for ice cream or porridge. 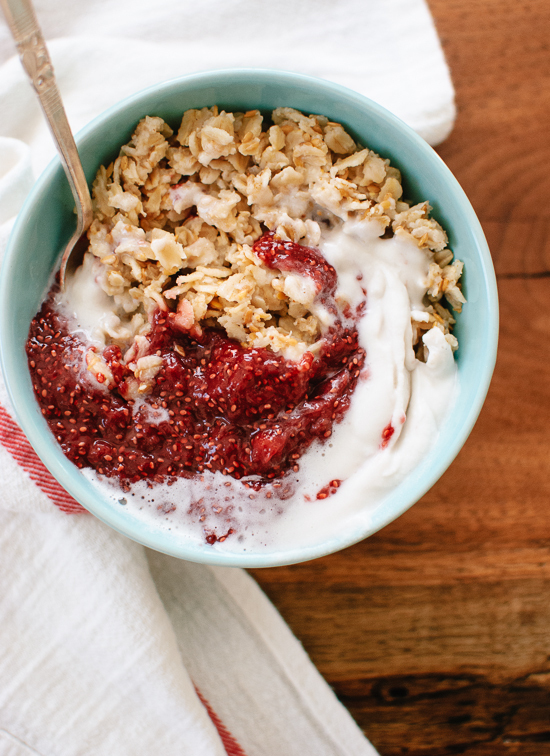 The next thing on my list for the ultimate yogurt parfait was some nice plain greek yogurt, which is very bland and not sweet at all, but can be sweetened with the granola and compote. I like just the plain Tesco greek yogurt, sweetened with runny honey. Arla Skyr is quite good as well, and makes for a much thicker consistency in your parfait. Greek yogurt is a must, and is usually easier to find plain than regular yogurt. The final ingredient in my parfait is “crunchies” which is basically just granola, nuts, crumbled biscuits or something like that. I found a really great guide to making granola here. You just need oats, nuts, sweetener, and oil. Other add-ins are optional. Just make a huge batch, and add separate extras for separate jars of the stuff. For example, you could have: 1 jar with chocolate chips and sunflower seeds, 1 jar with chopped dried apricot and dried cranberries, and 1 jar with chopped dried figs and coconut. The only thing left to do is assemble. 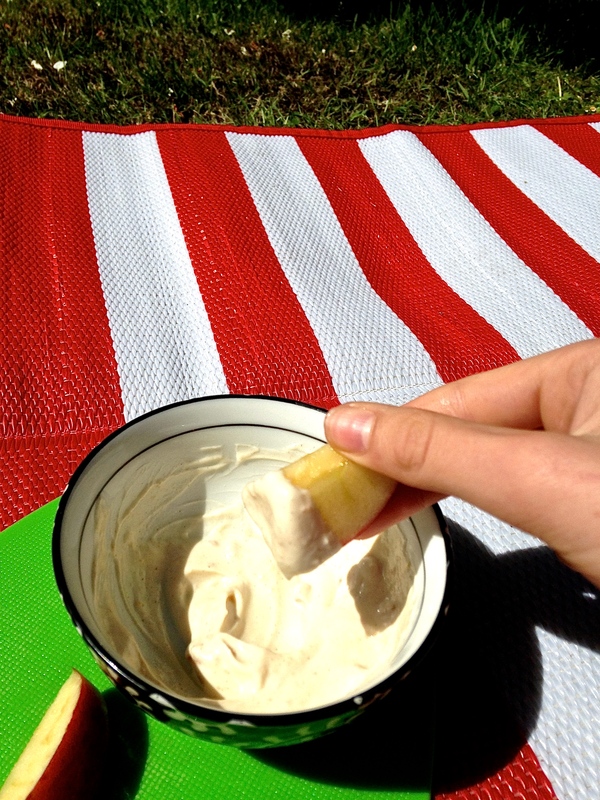 It goes like this; fruit; yogurt; crunchies. You can layer it as many times as you like for the perfect Instagram pic. Enjoy! Thanks for reading, like, comment and reblog. Details on the about page. Hey everyone! 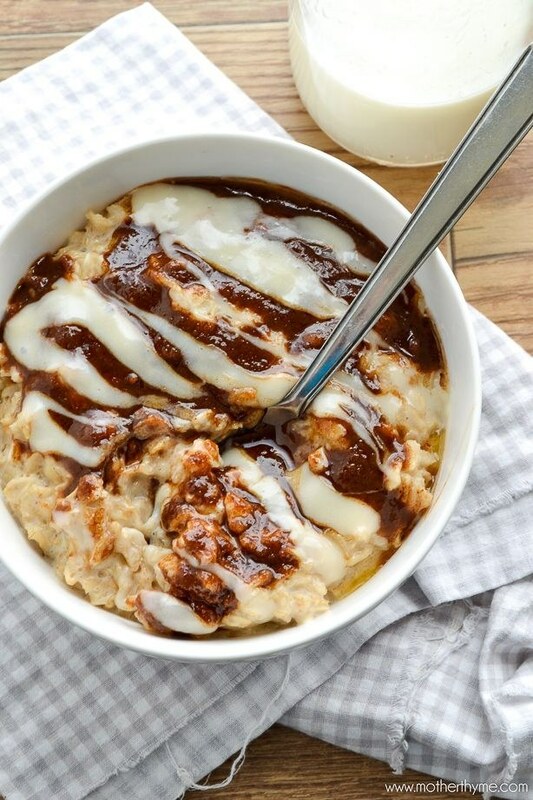 For today’s breakfast post, I decided to post a recipe for this porridge I made earlier, just because it is actually sooooooooooo yummy. Not diet food. Probably has around 100000000 calories. Just kidding, but it is very sugary. Here it is. Put the oats, milk, sugar, coconut and salt in a small pot. Add the honey or golden syrup. Chop the dried apricots into around 3 thin strips per apricot. Add to the pot as well before turning on the heat. Cook on medium/high heat for around 15 minutes, stirring gently the whole time. When the porridge reaches the right consistency take off of the heat. This step may take longer/shorter depending on the model and make of your stove. 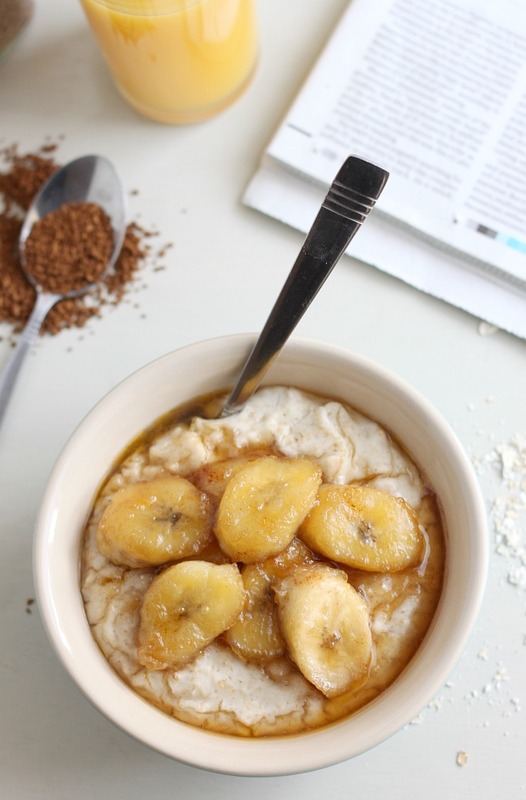 Put the cooked porridge into a bowl or mug, and spoon 1 tsp of Demerara on to the porridge. You may need more while eating, so keep the sugar on hand. Chop the fresh apricot, spoon the apricot jam on top of the sugar and top with the sliced fresh apricot. You could add your favourite toasted nuts or seeds, or some toasted coconut. Thanks for reading, like, comment or reblog. Details on the about page. Okay, so, I don’t know if you’ve noticed but there’s a thing where people put smoothies in bowls and decorate them with fruit and granola. Why? Most people in the UK have never heard of this; it is mainly a thing in western USA, but there is a reason for this. IT’S BLOODY FREEZING IN THE UK! Yes, it’s true. Even in summer. I know, it’s a travesty, but we just have to put up with it, and cannot eat smoothies out of bowls in the cold grey mornings. 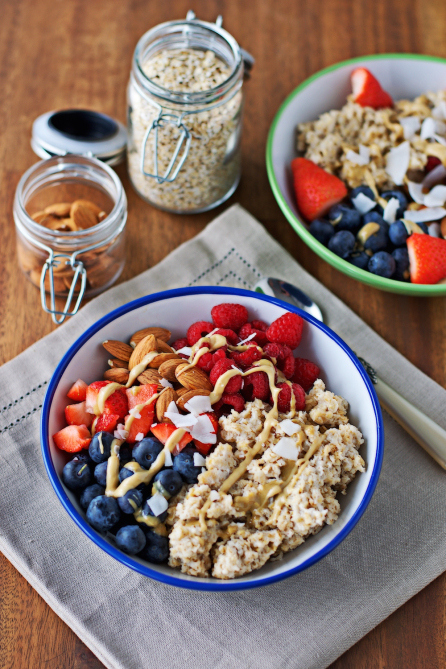 These are basically just porridge with toppings! Voila? Get the recipe at motherthyme.com. I found the recipe at Contentedness Cooking via Yummly. Recipe from Noshed via Yummly. Recipe from The Unprocessed Pantry via Yummly. Recipe from Cookie & Kate. Get the recipe at Running With Spoons. Get the recipe at Amuse Your Bouche. Thanks for reading: like; comment or reblog for more recipes. Details on the About page. Hey everyone! I’m back on board with the Tuesday Chef thing, and this week I will be giving you 2 very simple egg breakfast recipes that I use constantly. Just with eggs and some other stuff. Here they are. I know you all probably have your own recipe of scrambled eggs, but this is mine. Add the milk for a bit more of the end product. You know, if you’re hungry. Whisk everything excluding the bread and butter in a mug/cup/small bowl. Put a small pot on the stove and turn on the heat. Put the butter in the pot and melt. While the butter is melting, put the bread in the toaster. Put the eggs in the pot and stir continuously until there is no liquid left. Serve with the eggs on top of the toast. Take your bell pepper, and chop the ends (with the stalk and that) off. Cut and scoop out the middle part (with the seeds) and cut a ring of bell pepper off of your remaining pepper. Squirt some sunflower seed oil into a medium sized pan. Put on the stovetop to avoid egg spillages when moving. Place the bell pepper in the middle of the pan. Crack your egg into it, turn on the heat and cook for about 5 minutes. Serve with some fried potatoes and a glass of orange juice. I hope you like my recipes, follow, like and comment for more. Details on the about page. Hi, it’s me again for the second daily post for breakfast week. 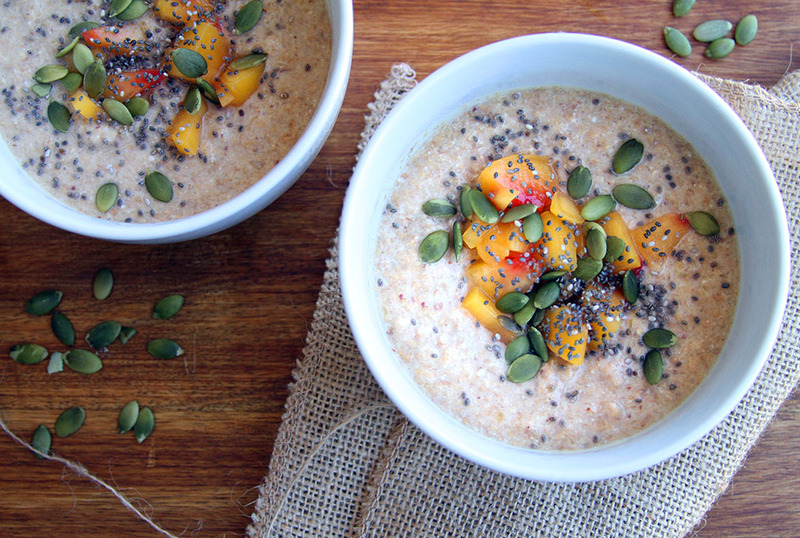 Today I will be giving you some of my favourite variations on the standard porridge recipe. Before I begin with the variations, here is your standard porridge recipe. Some ingredients are substituted in some of the other ideas, so be sure to be careful about measurements. Here’s the recipe. To make this comforting bowl of goodness, just add 1 tsp of cinnamon and a handful of raisins to the mixture before turning on the pan. For this recipe, use milk instead of water, and add: 1/4 tsp of allspice, orange zest to taste and 25g dried cranberries. Cook as usual. Serve with some cranberry sauce and plenty of brown sugar. Recipe inspired by Shake Up Your Wake-up. Use milk instead of water for this mixture, and add 20g shredded coconut and 20g chocolate chips to the mix before cooking. 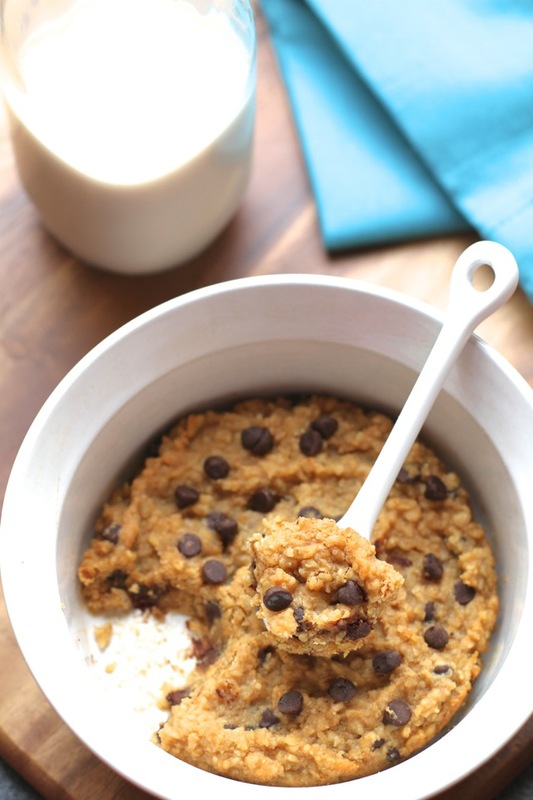 Don’t worry if the chips melt; it will give your oatmeal a nice chocolatey hint. Eat with golden syrup or honey. Cook my mixture (referenced above) as normal. After taking the porridge off of the heat, stir in some raspberries until they begin to break down and ooze juices. Serve with honey and more fresh raspberries. 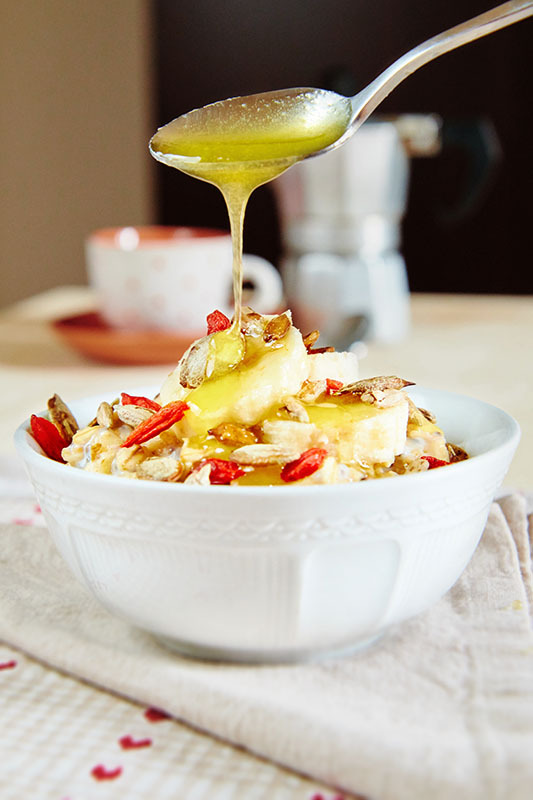 Make porridge, simply stir 3 tsp runny honey into the porridge after taking off of the heat, and top with toasted flaked almonds and more honey. Thank you for reading, details on the about page. Please like, comment or reblog. Thank you!